5Allenzplus: Recon Redo- All Pumped Up. Done. It's been six weeks since my surgery. During these past weeks, in addition to healing from major surgery- phase two of reconstruction has been steady going. A lot of people have asked me about the reconstruction process- I'll keep it simple. After the initial surgery to either remove breasts (mastectomy) or remove previous placed implants as a result of mastectomy- expansion takes place. The surgeon inserts a "balloon" behind the chest wall where one or both breasts would've been. At each doctor visit, in my case weekly, as long as the body is ready, the surgeon adds saline to each side until the correct amount or desired size has been added. There's magnets and buttons where the needle is inserted to keep the balloons from popping. That wouldn't be good for sure. It isn't the worst pain I've experienced, but needles into your breast is never fun, and it is noticeably uncomfortable. The purpose of the balloons is to stretch- and you can feel it. The pain, as my surgeon puts it, is the "ripping away of the balloon from the chest wall." I wouldn't call expansion and reconstruction easy- it is a difficult and pain filled surgery and the emotional side complicates it. I crave the shower with the warmth washing over the reminders that I will never be who I was- each shower bringing me closer to the finish line. It doesn't matter that this is a temporary step in the process. I struggle to look in the mirror- the reflection staring back is strange and scary and sometimes I don't recognize her at all. No, not easy- but easier than the first time and for that, I am so thankful. So, hearing my surgeon tell me that I am done made me very happy. I might have celebrated with a waffle cone filled with homemade orange cranberry ice cream. I might have celebrated alone. That may sound strange- because I've been surrounded with Rex, the boys, family and friends during these last six weeks, but it's just me in that room when the needles go in. From the very first biopsy over a decade ago- to this week's appointment- it feels very personal and lonely sitting in that exam room in the pink paper top. So, it seemed okay to be just me enjoying the ice cream cone in a personal celebration of being DONE. Done with the needles, at least. In order for everything to stretch and heal and settle, we wait. For about six weeks my body will continue to accept the changes forced upon it. And while it's settling, silly things matter- like whether I should continue sleeping in the recliner that wraps me safely or try to sleep in bed, knowing I will toss and turn and not really sleep at all. Do I dare get into a bath or keep taking the showers. When will my concentration come back. And do I have to give up my naps. I'll deal with the back and shoulder aches and odd shooting pains that will continue until we're ready to finish this up with the second surgery- when the balloons come out and are replaced with implants. My surgeon is amazed that I've come so far in just six weeks- he said I could be the poster child for expansion. I'm amazed too- thinking back ten years ago how different the first time I had this surgery was from this one. My family is getting back to normal- Eli isn't crying every time I fall asleep sure that I'm dead and Isaiah isn't hiding across the room afraid to come near me. We're back to "bear hugs" and I missed those as much as they did. I cooked my family's favorite spaghetti this week and even tried out a new crock-pot casserole. And Rex, my rock, who has been doing mom and dad duty getting kids to football and school and daycare and bed and fed and clothed- I know he's glad that I'm done too. Normal. 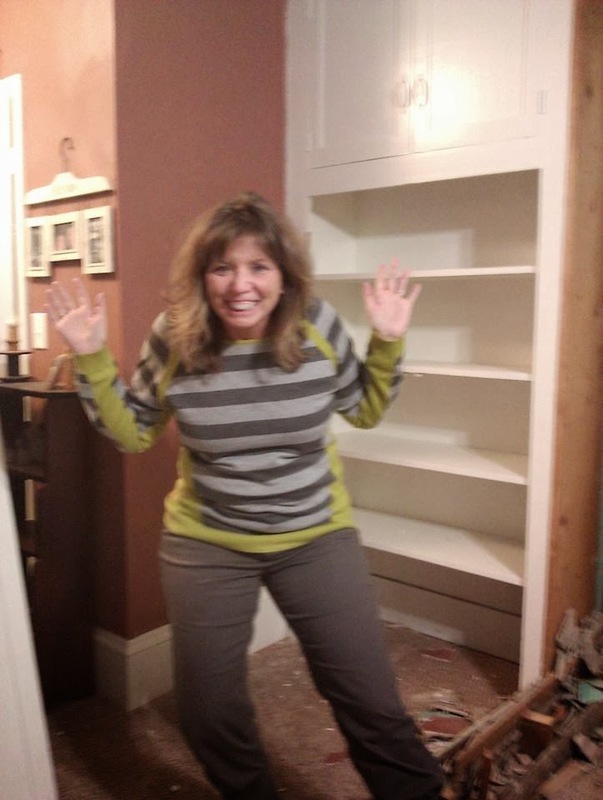 We wouldn't be the 5Allenz without a little chaos, so we didn't think twice about taking on more change during my recovery.... we started a major remodel in our house tearing down a wall, building a walk-in closet and switching 5 rooms around. Boring just isn't in our vocabulary. 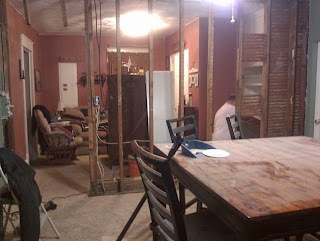 And because I know what you're thinking- yes, we made sure it wasn't a load bearing wall before they tore it down. We might have called the wall coming down reconstruction. 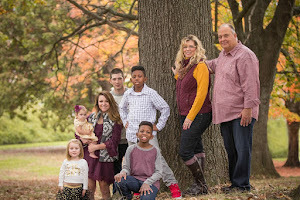 Whether it's breast reconstruction or walls coming down or Shayne leaving for school or the team we're building to help our RAD son- this family couldn't do a bit of it in our own strength. So thank each of you for investing in and praying for us. We sure appreciate you. Thankful to be back at the keyboard - Happy Wednesday y'all!